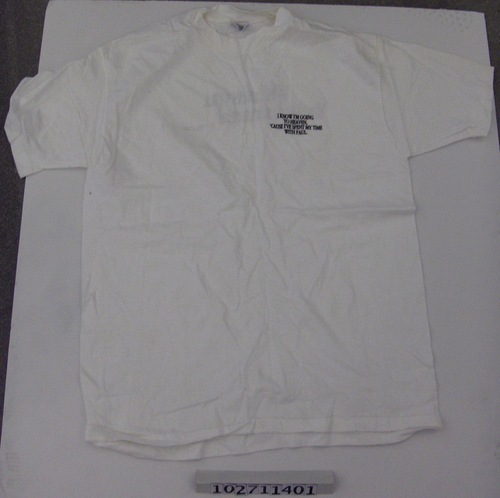 The front of the shirt reads "I KNOW I'M GOING TO HEAVEN, 'CAUSE I'VE SPENT MY TIME WITH PAUL." 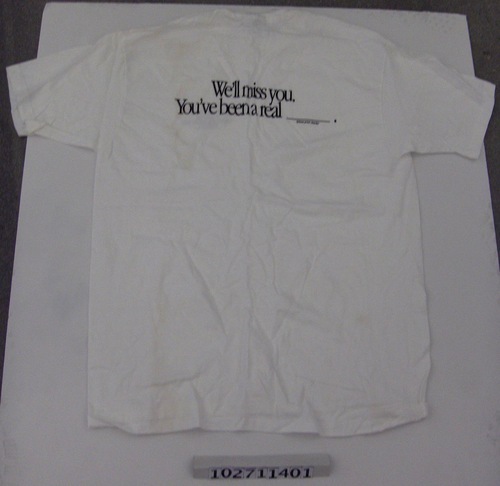 The back of the shirt reads "We'll miss you, You've been a real _______. (please print clearly)".